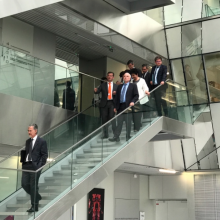 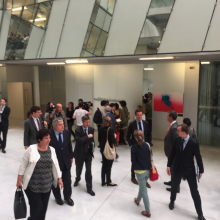 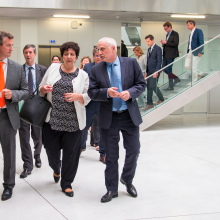 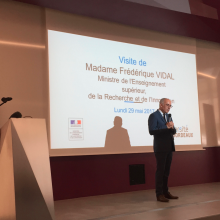 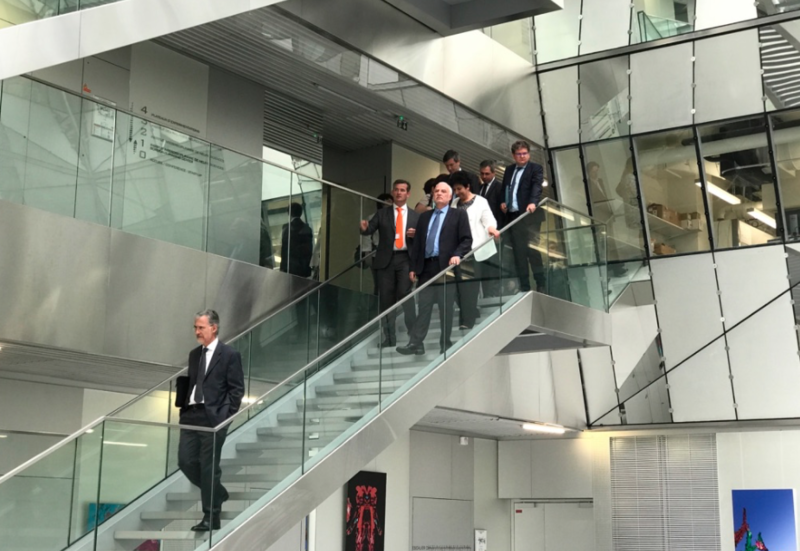 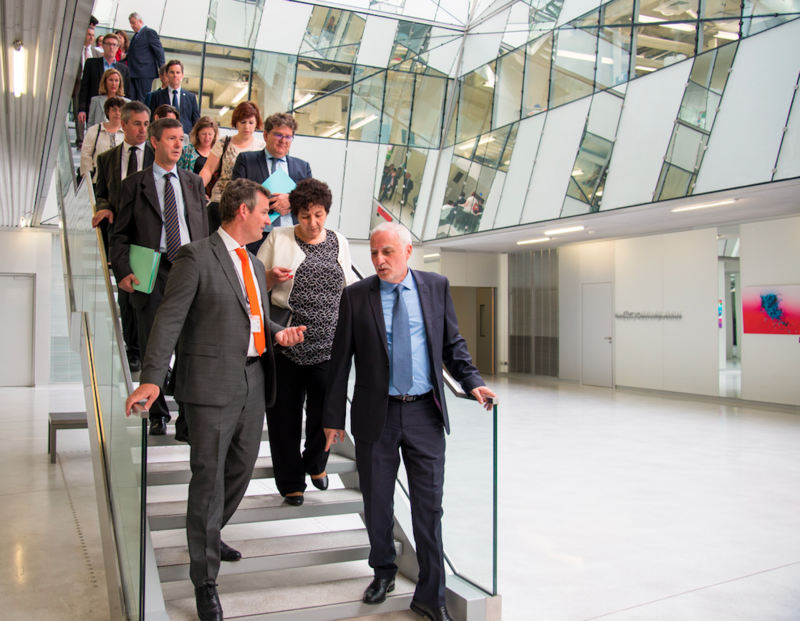 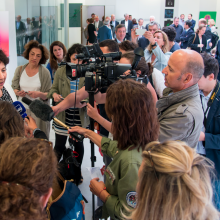 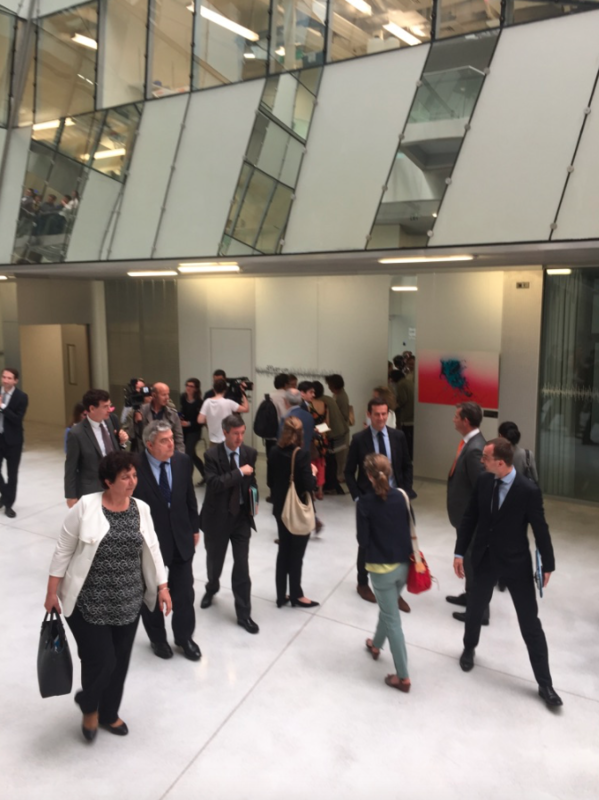 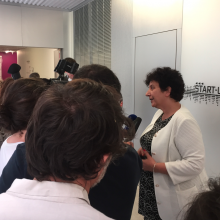 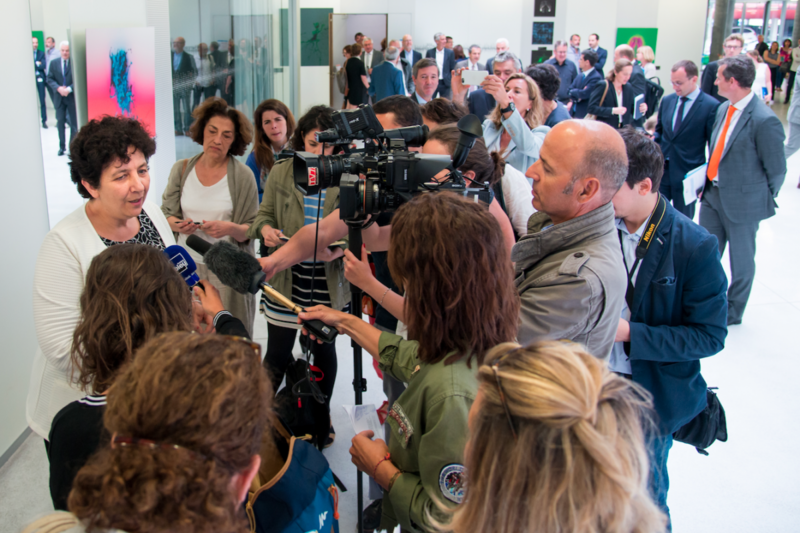 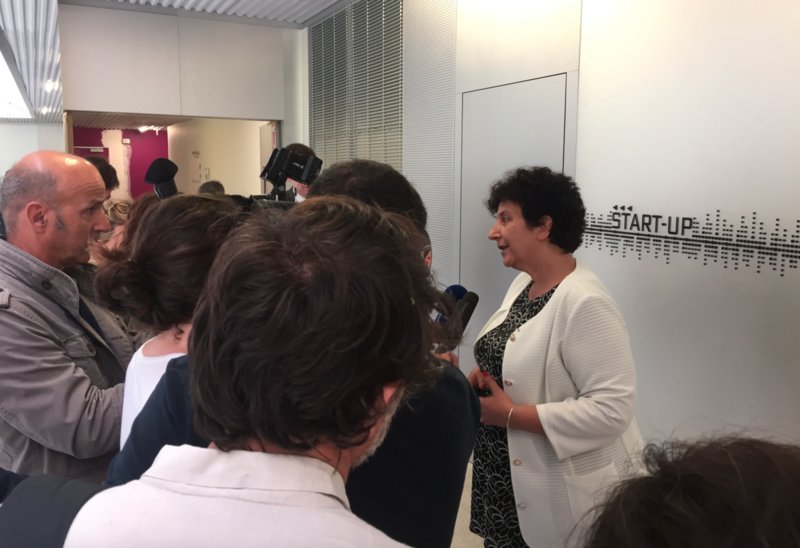 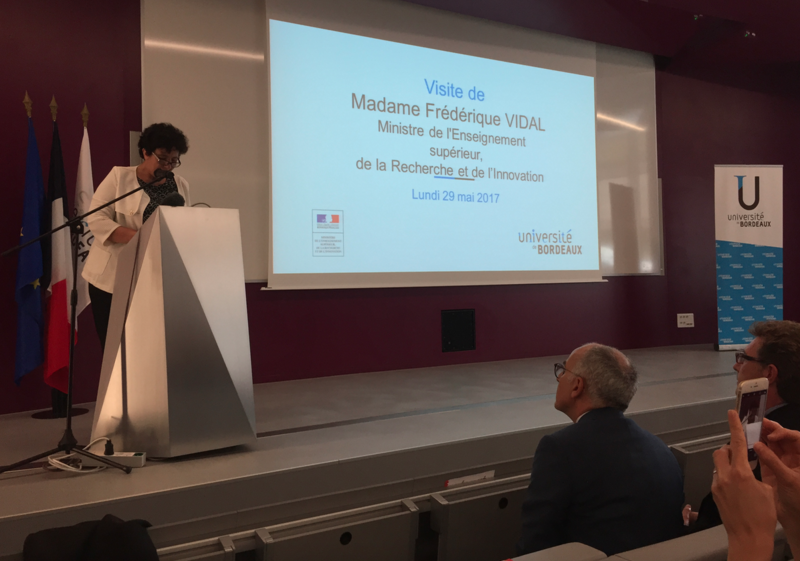 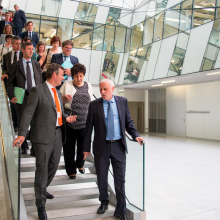 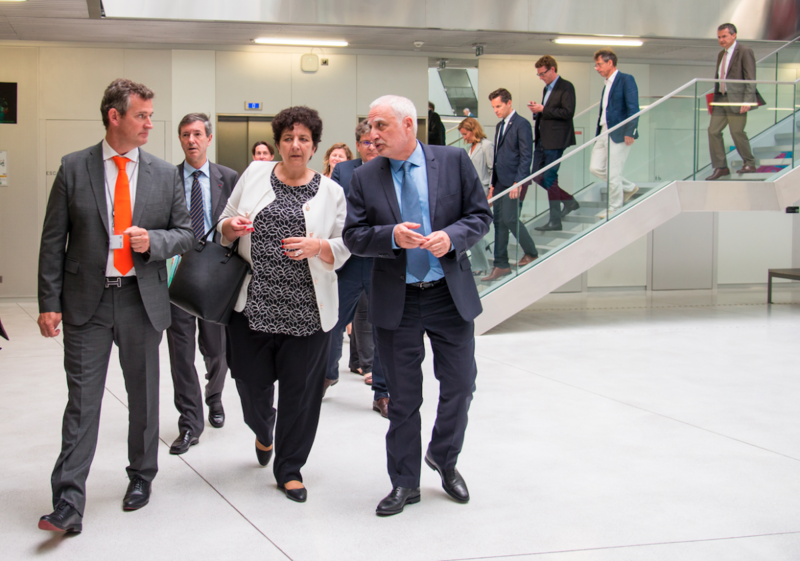 The University of Bordeaux was honored to receive this morning, on her first official visit, Mrs Frédérique Vidal, Minister of Higher Education, Research and Innovation. 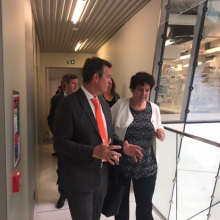 She visited the building that now houses the IMN. 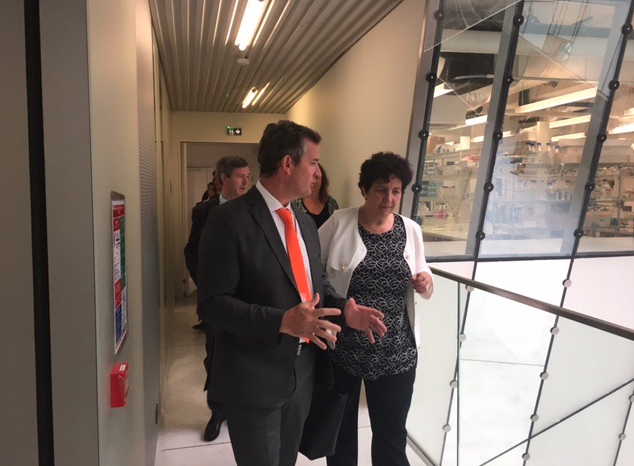 Dr. Erwan Bézard welcomed her by explaining the scientific activities carried out in our laboratory, but also in the neighboring laboratories, the IINS (Interdisciplinary Institute of Neurosciences) and the BIC (Bordeaux Imaging Center) directed by Dr. Daniel Choquet. 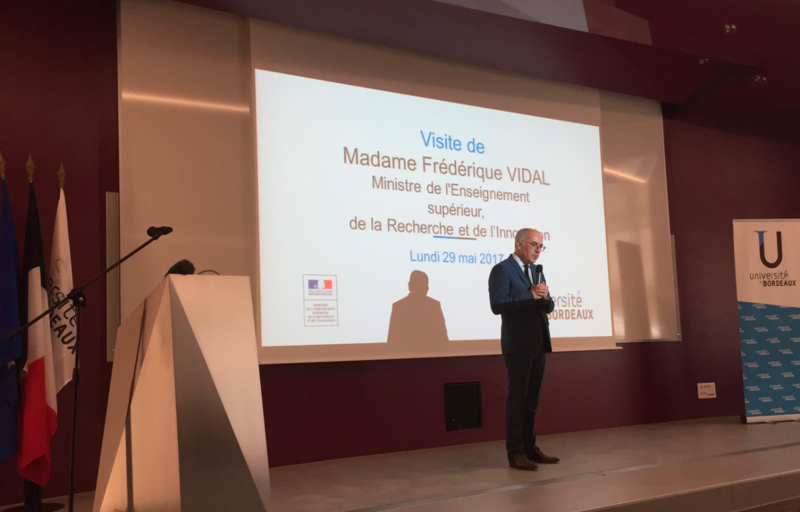 And finally he presented the School of Neurosciences. 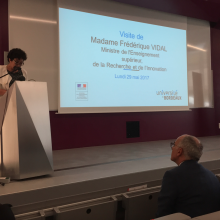 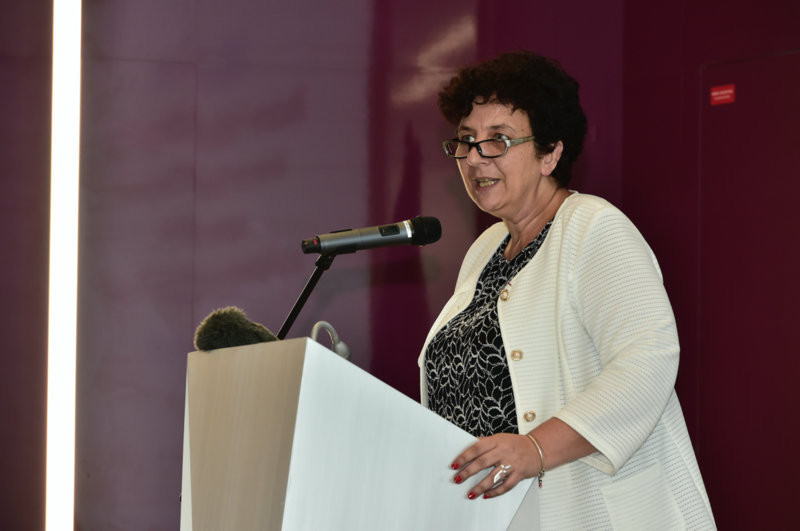 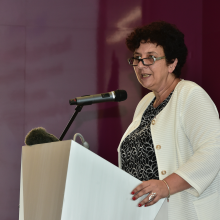 When she spoke in the conference room, she indicated that she had retained our site as part of the Excellence in Research, Teaching and Innovation Initiatives.In her speech, she also spoke about the end of the lottery for the academic year 2018.The method is used by some universities to select students in the courses for which there are too many candidates.